The Austen Stanmore is a development of branded memory care environments. It will cater for the growing needs of those suffering from early onset to late stage dementia. Targeted at the upper private rental sector, this Goodman Group project brings the latest in dementia research and development to a community of 65 studio apartments with dedicated dining, lounge and activity areas and associated support spaces. 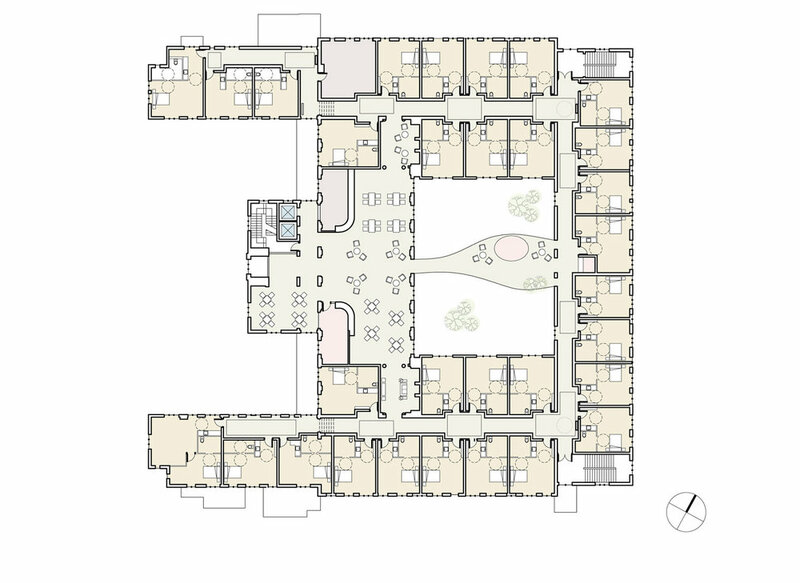 The existing two storey courtyard building, in a Tudor Revival style, is reconfigured around a ‘wandering loop.’ This is of particular benefit to those residents with early onset dementia. Each branded environment is wholly self-contained and the existing spaces have been adapted to provide for a well-appointed and interconnected interior, in which residents and staff can move about freely.